Specializing in professional European mounts using Dermestid Beetles. This is our lovely specimen with down eye socket holes. 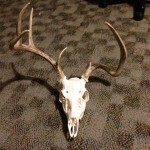 Josh shot this deer at deer camp in 2012. 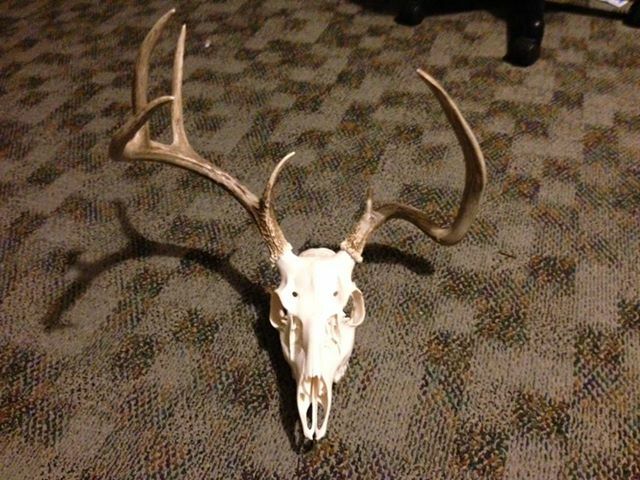 This was not a huge trophy buck, but the one of a kind antler set is very unique and grabs the attention of many!